Exciting!! 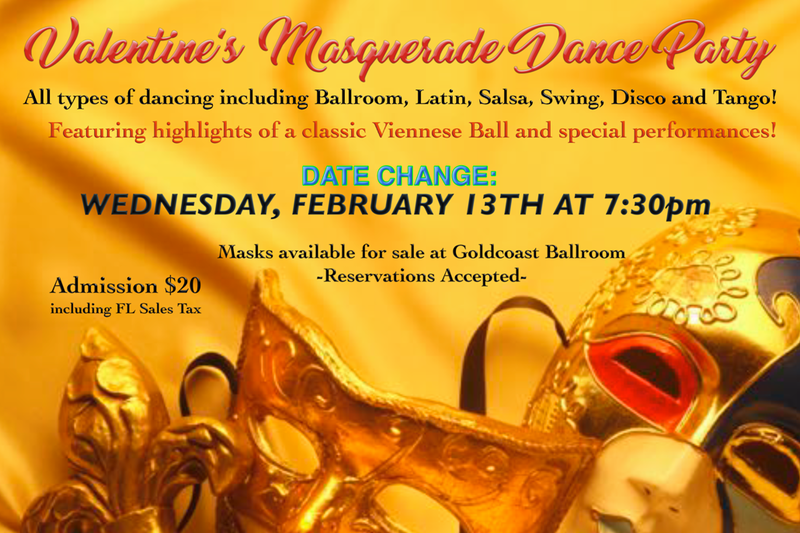 – Special Valentine’s Masquerade Dance Party!! Date Changed from February 16 to February 13! « SPECIAL WORKSHOP – ‘COMPETITION GOALS’ – Friday, February 8 – 7:00 PM – 8:00 PM – with US Open Professional Champions ALEXANDER & VERONIKA VOSKALCHUK!! – Also Available for Private Lessons! – Call (813) 966-5438 to schedule!